Edited by MattII at 11:29, 29 Jan 2016. Yes, when they started with ASHAN, deciding out of the blue elves should dominate the town and be everywhere = elf with swords, elf with bow, druid-elf, and all heroes should be elves because screw differences. Well they had druids of uncertain (though quite possibly Elvish) race in Heroes 1/2, and to tell you the truth, if they'd made it all elven and dwarven heroes in H3 I wouldn't have shed any tears, because humans were far too common. Still are in fact, because not only do they get all of the Haven slots, but many places in both Academy and Necropolis. Well I think was to align Ashan more with contemporary fantasy rather than classic adventures, by which I mean it's not human vs. everything else, but rather a plethora of humanoid races (humans, elves, dwarves, etc.) living in parallel if not identical societies. That, in itself, was a good idea imo. Did H5 do it perfectly? No, I agree not. There were generally too many elves in the elven towns, and even worse was the situation with the dwarves. I think by now it's well established that the sweetspot lies in the range 2-4 racial units per town, with humans being an outlier with perhaps one or two more. First, Galaad, i am impressed by your knowledge of greek and by your references. Good job man. Now, Sylvan will come up during the next 2-3 days, if Minastir manages, maybe tomorrow. In our vision, Sylvan is the Forest, thus there are representatives from animals, plants and elves. As for the elves, there are 3 elven units. One iconic which is the Hunter ans two more which you get to choose between them. So in the end, in your lineup you get to have only two elves. Also pixie is more creature like. A small preview for the info of sylvan: "As a society though, elves do not differentiate themselves from the other animals. Their lives are just as precious and equal to plants, animals, beasts and minerals." And yet, this is part of the info for Hunters: "They are the embodiment of the wild hunt, that will hunt and kill only what is necessary and do so, without causing excess pain, with one swift shot. This makes them deadly during battles because Hunters will consider all enemies as prey and will act the part." Edited by MattII at 11:30, 29 Jan 2016. And that there is IMO one of the biggest issues of the game, humans are outliers, humans are special, and to me that's wrong. Yes, I know most players are human, but seriously, if you want to play human-centric, go play Settlers or Civilization, Leave HoMM to the people who want to see all the races level-pegged. For that reason I do sort of support what Ubisoft did with the factions. Sure they screwed them up in one way, but at least it got rid of the "humanity's the best, screw the rest" vibe the previous games had, with significant numbers of human heroes in every single town while 'factional' heroes weren't found a step outside of their own towns. Going to say though, I'd be perfectly happy with just the Hunter and option on the Druid as the entire contribution to the lineup. There was a lot of discussions about Sylvan and now it is finally here, in Inolin. Edited by Rakshasa92 at 14:51, 29 Jan 2016. I'm under the influence of the Sin Sloth currently so I only say which units I don't like. Warden - Two elves (Hunter / Druid) are enough for me, put in other humanoid monsters or beasts instead. Unicorn - I'm so sick of the house, kitchen and garden Unicorn from Sissy Legends, use more respectful unicorns instead. Centaur - One of my four most hated mythology monsters (others are Cockatrice, Hupia and Hippogriff), and I don't like them anywhere, I hope in stronghold they eventually get replaced by Girtablilu or Scorpion-Centaurs. I also don't like them in Sylvan at all. Green Dragon - Such an uninspired boring name, I really dislike it. Call it Ladon or something a bit more flavorish. Pixie, never been a fan of these creatures, but they are a necessary evil I guess. Don't mind the others but the only very cool unit I see is the Cu Sith. 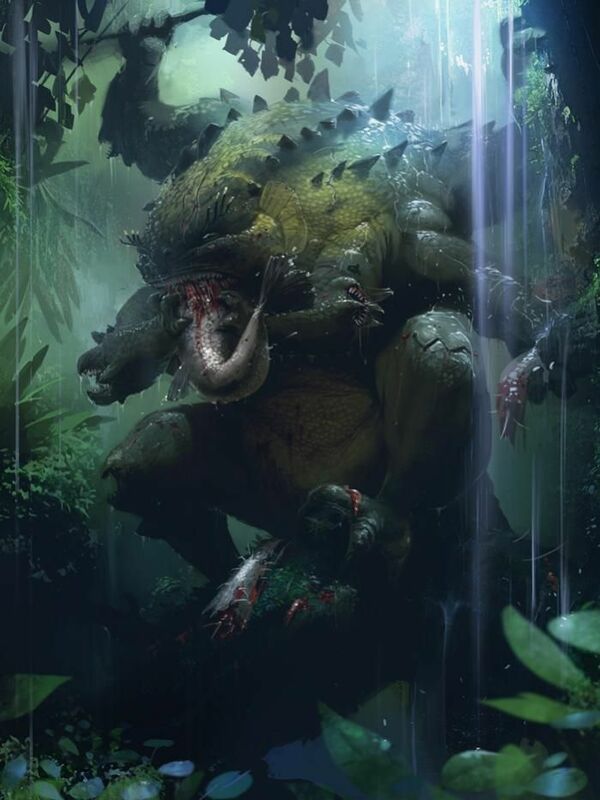 The Baloth is a creature I would skip for the Hodag, Otso or another mythology plant/forest creature. Also I miss the Kitsune / 9 Tailed Fox in this town, it would suit very good. Silver Fox could be the name. Cu Sith could be low level, but Silver Fox could be higher level and very magical creatures. First of all, I really admire your work and all the effort + time you put in it. Lineup layout seems good, you try to provide variety, introduce new creatures, reintroduce the ones, that are not in current universe. However, there are some similarities between factions (e.g. each one has a caster at tier 4/5) which I am not sure if it was an intention or not. Another thing is, I am not fond of some creatures. I am no expert in mythology, but e.g. Baloth seems to me rather artificially created for fantasy games than mythologic creature, also some let-us-mix-animals creatures does not appeal to me either (I mean Cipactli). But this is just my personal preference (I am not commenting Orcs who are in my opinion the most annoying creatures in fantasy universe). Finally, I would like to ask few questions: Why the name "Inolin"? Do you plan to go further than just creating lineups (I mean skills, spellsystem etc.)? Edited by Rakshasa92 at 14:59, 29 Jan 2016. Why Manticores and Hippogriff do appeal to you but Cipactli doesn't? This doen't even look like a crocodile or frog or fish, it looks like it's own monster more than an eagle that is mixed with a horse out of laziness. Also you probably don't see it that well, but Cipactli has giant maws in each of its joints, which is pretty unique, it is a force of gluttony one of the seven sins, which is always awesome. Did I say anywhere that Manticores and Hippogriffs appealed to me? Appart from responding to your trolling, I'd like to say, that mixing animals into mythic creatures happened in Greek mythology and this is also point where it should stop. That's my opinion. Centaur - Too low (IMO a tier 3-4 creature), and doesn't fit environmentally - replace with wolf. Warden - Unnecessary elf creature - replace with boar. Unicorn - Overused and boring - replace with deer-derived creature. Firebird - Firey animal? in a Forest? - replace with mother-nature/mother-of-the-forest/super-dryad, etc. Phoenix - did you read the bio ? I won't comment on visuals again because I believe I made my point across but regarding choice of creatures this is a lineup I could play with. I'm not fond of the Baloth though, like not at all. I like the Glade Spirit very much on the other hand, Hunter Tier 3 is nice and glad to see the Phoenix where it belongs! Lol. So only greek mythology can have hybrids and other mythologies can go bump themselvels. Arghhh this makes me sooo angry and sad. How can 90% of humanity be so boring and repeative. Really hate limited opinions like this. Give something new a chance for once. What you already have you have, new stuff is more than welcome. And be happy i'm replying from my mobile phone... On my pc I would give my rage more space. Edited by MattII at 07:55, 30 Jan 2016. And the Nomad was level 3. Also, NWC wasn't the be-all-and-end-all, they made screw-ups as well. Warden - It's is not even an elf creature as a whole. Warden only counts as 1/2 elven because the Stag is bigger than the elf itself. By this logic the knight is only half a human creature, or the Boar Rider half a goblin/orc creature. The fact is, it's elf cavalry. Iconic of the faction, yes, but still overused. I did, and you've got things like 'radiates life' and 'miracle of nature', except that there's nothing in there specifically about the forest, and all of that could equally well apply to Haven, Bastion, etc. Edited by Kimarous at 08:41, 30 Jan 2016. *sigh* It's stuff like this that makes me avoid HC - the completely unpleasable fanbase. If the Firebird/Phoenix wasn't there, a bunch of people complain; when the Firebird/Phoenix IS there, people complain regardless. Lore exists for a reason: JUSTIFICATION. The faction is set up to worship "The Lifebearer", so something that "radiates life" (and, more importantly, doesn't actually burn down everything that isn't them) would actually be seen as sacred to such a culture. But no, we have to complain about every little thing, for such is the culture of negativity here. Ah, because apparently we're not allowed to disagree with anything anyone say? We were asked for our opinions and I've given mine, and if you disagree with it, fine, but don't try to make it sound like I'm doing these guys a disservice by doing so. It's not a matter of "disagreeing with opinion." It's a matter of ignoring the work someone has put into a project and then nitpicking it, claiming there are holes where there are none. "There's nothing 'radiating life' has do to with the forest", yet the faction is set up to make that work - but it DOESN'T, ACCORDING TO YOU, because your own opinion matters more than the creator's intentions. I'm SICK of everyone holding their own precious opinions and lording them over another's work, calling it "boring" and the like, and when called out for their selfishness, their only defense is "It's MY opinion and I have the right to express it"! Whatever. Screw this place. I'm done. Edited by Rakshasa92 at 10:38, 30 Jan 2016. I knew you would say that about the only cool new creature the Cu Sith, where are your taste organs hiding? You are the linupsmith with a strange fetish for Humanoids. The freaking town is full of humanoids and you want the only beast to change into a HUMANOID. That is just so wrong. And most girls I know love Cu Sith, you must be a cat person or a male that plays being a female. Lol, you are a WORLDPEACE kind of soul right? I was like you many, MANY years ago, let it go, humans aren't animals, they are born ugly unlike most animals and they only think about themselves (me included) it is just in our nature, goodness and kindness aren't natural perse. Harden up or leave indeed, the world is about to change drastically with a sertain religion being the cause.